Emma was named as one of the top 100 Women in Social Enterprise in 2017 and was also highly-commended for her leadership role in the Social Enterprise 100 Awards. Emma has been working with children in various capacities since 1998. Emma’s role as co-CEO is the smooth running of all aspects of The Philosophy Foundation. Since founding the company she has run every aspect of the charity from finance, marketing, PR, administration, liaison officer between schools and specialists, and has trained most of the specialists with Peter. In the 10 years before setting up The Philosophy Foundation Emma was a successful actor and occasional stand-up. She writes her own material and continues to work in the industry. 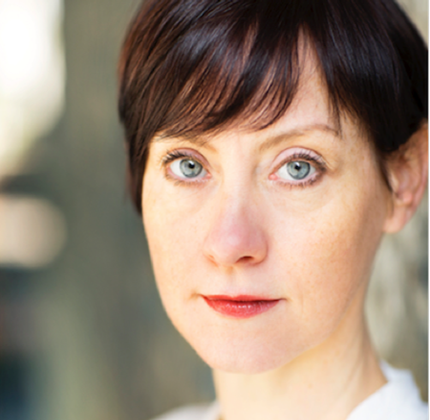 She has worked as a drama educator for schools and regularly works with children’s charity Scene and Heard as both an actor and dramaturg. Emma is Network Meeting Co-ordinator and a Board Member for SOPHIA and a Non-Executive Director of Thinking Space CIC, she has also been a business mentor for the Young Foundation’s Accelerator Programme and is on the Advisory Board for the Centre for Philosophy of Natural and Social Science at the LSE. Emma is a contributing author to The Philosophy Shop and has helped with proofreading and editing all of Peter’s books. Although I like the challenge of juggling many roles and responsibilities within the charity the thing I love doing most is the big picture planning, and building partnerships with other organisations. I like to think about where the charity can help people the most, and innovating ways of getting there. The Philosophy Foundation philosophers! They are an amazing bunch – they dedicate themselves to getting better at their work, developing each other’s practice, and the charity’s work overall. Plus they make me laugh. 1) Jump off the cliff and build your wings on the way down! 2) You will need help, you cannot do it all on your own. Setting up and running the charity for 10 years! When we first started we didn’t have any expectations of where we would be in one year, let alone 10.